The Langdale Hotel & Country Club is located in the heart of the Lake District National Park and is part of the Langdale Estate which includes 4- Star hotel accommodation, Brimstone Spa, Stove Restaurant and Bar, Wainwrights’ Inn and extensive leisure facilities, ideal for any teambuilding event. 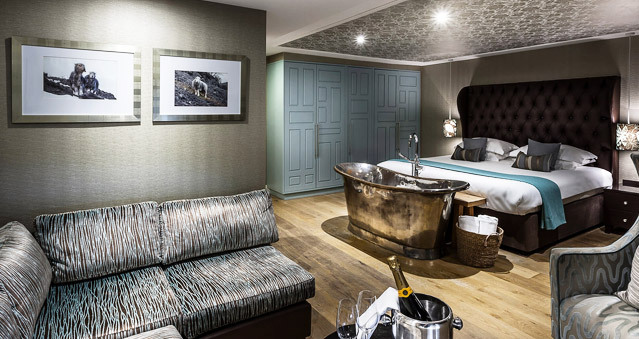 The Langdale Hotel & Country Club Estate is complimented by a range of leisure facilities, including 20m swimming pool, gym, sauna and hot tub along with the recently opened Stove Restaurant (including Wine Room and Mezzanine with a great view) and Bar and the nearby Wainwrights’ Inn. There is a choice of rooms which are laid out in a resort style, Ultimate Rooms are popular for special occasions and with boutique styling and design. The Waterside Rooms get close to the stunning Lakeland landscape with balconies over the cascading Great Langdale Beck and four poster beds with feature art. The Lakeland Signature Rooms take their design influence from the landscape with colours from slate, heather, tarns and a few surprises thrown in with the romantic gothic rooms. A superb location for teambuilding activities, including The Killing, Around the World, Awakening the Dead, Stocks in the City, Mixology, The Ultimate Team Build, Get in the Zone to name a few. Location: accessed via the M6, 15 minutes’ taxi ride from Windermere train station.